One of the critical things in any business is finding the time to work on it as opposed to working in it. I think what’s really important for people to understand is that they need to make that time. Some people have said to me, initially, that they simply don’t have the time to take one entire day out each month to come to the Advisory Board. Because, at the end of the day, you need to make sure you have the time to get better at what you do, to learn new things, strategise properly and make sure you’ve got those things in place so that you can implement them into your business. If you’re continually working IN your business and not ON it that’s a recipe for disaster. If you speak to most successful business people around the world they will tell you, they make the time to get better at what they do and Coraggio provides that opportunity. As far as the actual day is concerned we’re very structured in terms of the approach and we want to make sure that everything we talk about and schedule during the day has meaning and relevance. 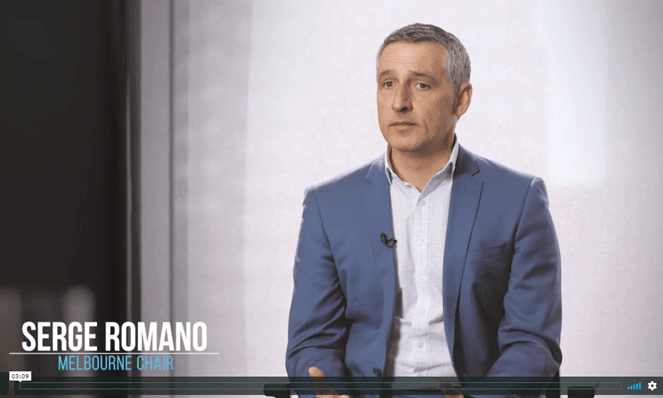 The concept of what we do at Coraggio revolves around strategy, execution people and cash. We talk about those things on a quarterly basis and revisit them constantly to make sure that people are doing the things they are meant to be doing. As Chair, my responsibility is to ensure that every individual does what they said they were going to do and, if they don’t, I will challenge that – and the rest of the Board will challenge that to. At the end of the day, it’s not about sitting here, listening and doing nothing about it. Instead it’s about accountability and doing something with the information you have. Coraggio Advisory Board has a ten-year record of success. Like-minded people following a specific structure that has been proven to create incredibly positive results. A key feature of the concept is the idea working ON the business and not IN it and being accountable for the things they need to do and how they are going to do it and then implementing those things into their own business. I think it’s a recipe for success and would encourage you to find out more.